The aims of this second one day workshop, that followed the previous more commercially focussed workshop, were to ensure all EBB project partners were familiar with Best Practice Guidelines and could discuss the process of implementing procedures within their institutions and the process for retrospective ABS compliance for existing genetic resources in collections. The workshop also identified differences in national legislation and discussed the ramifications of including collections in an EU registry. The event was attended by representatives from EBB project partner institutions, as well as Competent National Authorities on ABS from France and Spain and other experts. The workshop opened with introductory presentations on BPGs and EU registry, by Anne-Emmanuelle (EMBRC-France) and Robert Yarlett (MBA), respectively. After the talks, the workshop followed a series of open discussions to decide on the next steps towards implementing BPGs and the practicalities and benefits of including the collections in an EU registry. There were also short discussions on retrospective ABS compliance and traceability of genetic resources. Implications of collection registration with the EU registry that were discussed in the first workshop were further debated with input from the Competent National Authorities representatives. From a collection owner’s point of view, registration means that the collection assumes liability for ABS compliance. For an unregistered collection the user assumes liability for ABS compliance. A collection will therefore have less legal liability when making an unregistered collection available to a user and institutions may not wish to register all or parts of collections. Therefore a change in emphasis of WP5 from registration to aiding institutions/ organisations was discussed. It was agreed by project partners’ that the key group focus should now be on collating BPGs into a handbook for EBB partners and implementing of those BPGs set out in the handbook in order to meet the legal obligations as stated under the Nagoya protocol (2014). The MIRRI and CETAF guidelines are a good basis for developing Best Practice Guidelines as a deliverable and everyone should be aware of them. Most attendees agreed that a step by step, guide to implementing BPGs would be helpful and partners made various suggestions about the form and content of the handbook. Feedback was collected at the end of the workshop to gather opinions from attendees. In brief, there was a general consensus that the workshop had aided partner’s understanding of implementing BPGs within their institutions and most believe these to be feasible to implement and a priority. The workshop has achieved the objectives of increasing understanding around ABS compliance and liability for collections supplying genetic material. On the basis of workshop discussions, collection registration is no longer seen as a desirable aim for most collections (due to legal liability remaining with the collection). This may change based on future discussions and as implementation of legislation proceeds and the processes are further developed. Following the workshop a position paper has been produced which summarises the opinions, benefits and challenges which institutions face under the new ABS legislation. This is available on Basecamp along with a brief report on the feedback received at the workshop from delegates. The MBA are very grateful for the input of all delegates and the hard work Justine Pittera (PMBA) put into organising the workshop. Ibon Cancio (UPV/EHU) and other project team members and the Competent National Authorities are also thanked for their efforts in ensuring the success of this workshop. This one day workshop, open to academic and commercial users of marine genetic resources, lead then to a second day workshop (17th of may) for EBB partners, to discuss on practicalities regarding registration and best practice guidelines. The workshop was organized in the context of the Interreg Atlantic Area EBB project and the activities of the European research infrastructure EMBRC-ERIC as a marine bioresource provider in Plouzané, Brest, Brittany. Brittany was selected for the logistic help and support provided by Le Pôle Mer Bretagne Atlantique and the research and technology transfer landscape around marine biotechnology in the Region, with a wide spectrum of companies with interest, and concerns, on the ABS regulation framework. 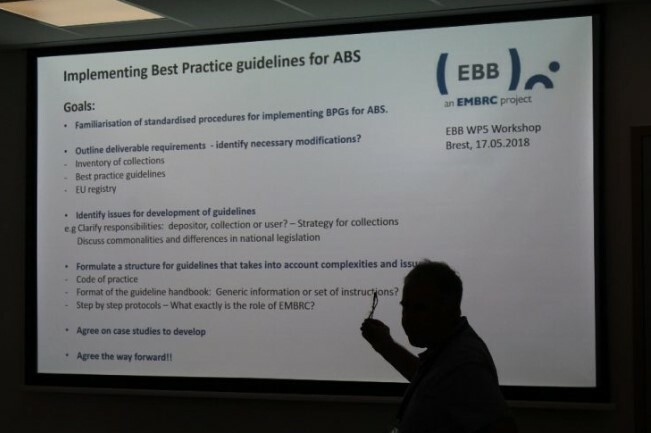 The aim of the workshop was to connect companies, marine culture collections/biobanks and ABS national contact points, and it was primed by a previously prepared/circulated on-line questionnaire on awareness of companies on ABS legislation. The knowledge of companies on the ABS framework was to be analyzed, together with the future needs on access to marine genetic resources (MGRs), bringing them to a higher level of awareness. The final outcome of the workshop should be a series of flagship use-cases proposed by the companies to be beta-tested for them by the EBB in the light of the ABS framework. 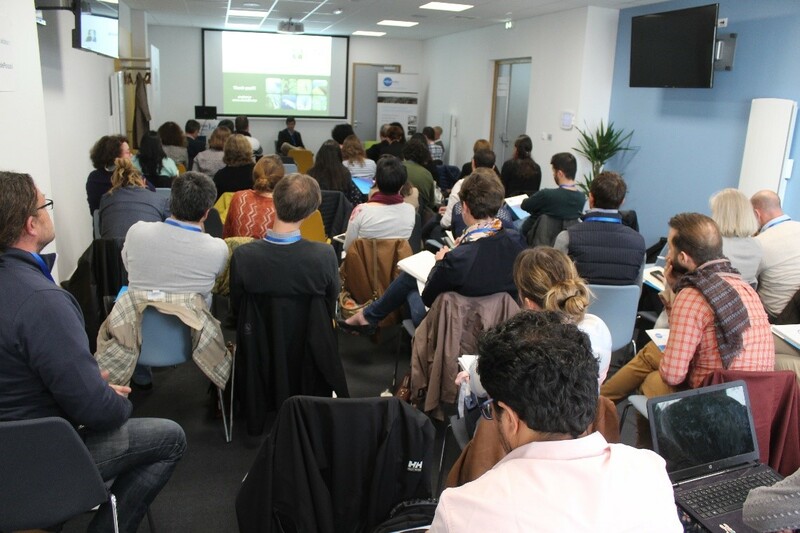 A total of 50 participants registered for the workshop who received the welcome of Philippe Monbet (Deputy Director of Le Pôle Mer Bretagne Atlantique) and of Justine Pittera and Ibon Cancio, as organisers of the workshop. After presenting the aims of the workshop, Florence Guillot (Access and communication officer of EMBRC-ERIC) presented the vision and mission of EMBRC-ERIC, and Antonio Villanueva (EBB project coordinator) presented the goals of the EBB project and EMBRC-ERIC culture collections and biobanks. These introductory presentations lead to a first informative session by the ABS focal points, in relation to the 3 pillars of the ABS regulations: Access, Benefit Sharing and Compliance. The common umbrella of the ABS regulatory framework, with its implication on access to MGR was presented through teleconference by Alicja Kozlowska (Desk Officer for ABS and member of DG-ENV). The ABS access pillar was presented from the point of view of two countries with ABS legislation in place (France and Spain) and one without national legislation adopted (Portugal), through their respective national contact points (Florence Hervatin-Queney, Mª Carmen Fernández and Marco Rebelo). The following speakers focused their presentation in practical issues from the point of view of culture collections (Philippe Desmeth from World Federation of Culture Collections), research and technology transfer projects (Dr Oonagh Mcmeel from Seascape Belgium and INMARE), companies (Bruno David from Pierre Fabre) and science parks (Pierre Colas from Blue Valley in Roscoff) working with MGRs. They addressed the needs of the different collectives regarding ABS regulations, pointing to issues as due diligence, benefit sharing through capacity building and the need for legal clearance for commercial users of MGRs. Finally, Ibon Cancio (EMBRC-Spain) presented the results of an EBB questionnaire to the industry working with MGRs in Portugal, Spain, France and UK to test their awareness and knowledge on ABS regulations. The questionnaire showed the high degree of unawareness and lack of knowledge in the private sector. Following discussions with audience also revealed this lack of knowledge. At the level of the culture collections the suitability of seeking registration in the EU registry of collections was discussed, and not seen as very positive and feasible. No common pan-European collection can be registered as registration is asked, evaluated and granted at the national level. The approval of best practice guidelines in any case is evaluated at the EU commission level. Discussion with companies did not result in use cases being presented (for lack of knowledge on the ABS regulation or due to the fact that IPR issues are problematic in this kind of open discussion), that EBB collections could test to learn by doing. This exercise should allow to introduce solutions concerning specifically the commercial use of MGRs in the best practice guidelines. 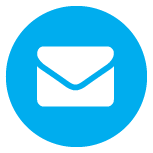 It was decided that the collections will have to contact their usual commercial users, to know first-hand on their future needs regarding access to MGRs. 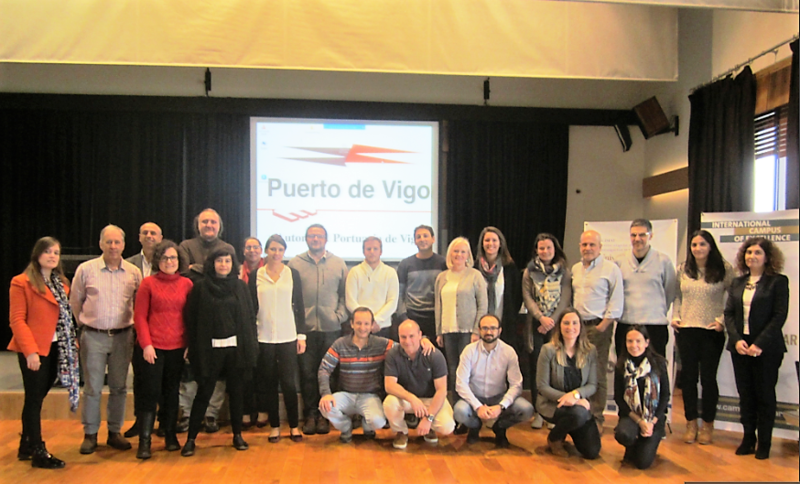 The kick-off meeting (KOM) of the EBB project was held at Vigo’s Port Authority premises, in Vigo (Spain), on 21st and 22nd of November 2017. The meeting participants included representatives from the University of Vigo (Spain), the University of the Basque Country (Spain), the Interdisciplinary Center for Marine and Environmental Research (Portugal), the University of Algarve (Portugal), the Sorbonne University (formerly Pierre and Marie Curie University; France), the Marine Research Institute (Norway), Fórum Oceano (Portugal), Pôle Mer Bretagne Atlantique (France), Anfaco-Cecopesca (Spain), the Industrial Biotechnology Innovation Centre (United Kingdom), the Marine Biological Association (United Kingdom), and from the National University of Ireland Galway (Ireland). The KOM was jointly opened by Jesús Souza Troncoso, director of the Marine Research Centre of the University of Vigo, and Carlos Botana, responsible of Sustainability at the Port of Vigo. "This is the first initiative to promote a long-term transnational coordination of marine biobanks," said Jesús Troncoso, explaining that, as a marine biologist, he usually has to collect samples around the world. "This is a difficult issue, as each country has its own regulations and protocols. Therefore, this initiative to implement a common strategy towards accessing marine biological resources is paramount" said Troncoso. On the other hand, Carlos Botana underlined the link between the objectives enclosed in the EBB project with those of Blue Growth - a strategic plan of the Port of Vigo: "For the Port of Vigo, we have identified 14 sectors linked to the blue economy, from biotechnology, fishing and tourism, to blue energy and sea highways" said Botana. After the institutional opening, the first day started with a general presentation of the EBB project and its links to EMBRC-ERIC carried out by the project coordinator Antonio Villanueva (University of Vigo, Spain). Then, partners gave a short presentation introducing their respective institution and stream of work. 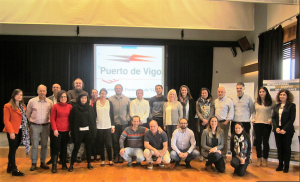 The project manager Cristina Secades (UVigo) chaired the two-day meeting, during which the work plan for the coming months was discussed and established, and the main roles and responsibilities of the partners was agreed upon. Press staff were at the venue to cover the event, and a press release was published by the University of Vigo Journal (Duvi), as well as in various other websites, including those of ECIMAT and BBMRI-ERIC.